Real look at the business environment in Ukraine. No theory, just practice. Export volume of Ukrainian honey in 2011, has doubled. 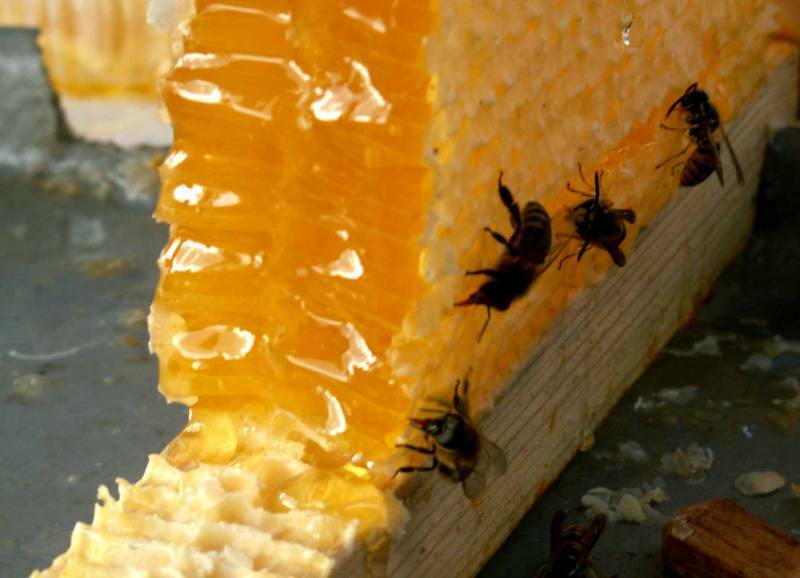 In 2011, the total yield of honey amounted to 67.5 thousand tons. The decline in world production, allowed Ukrainian exporters doubling its exports honey. In 2011 was sold around 4.4 thousand tons of honey on foreign markets, being 1.9 times higher than the corresponding figure last year. With the rates in 2011, exporters have received about $ 35 million by export. Ukrainian honeys price that is exported is $ 2700-3000 / t, up $ 200 from last year and approaching the level of world prices. Strong demand in external markets for Ukrainian honey provides its relatively low price and high quality. Qualitative benefits of Ukrainian honey clear to Germany that the new season has imported 5 times more than last year. This also understood Russia, which finally opened its market to Ukrainian exporters. On global platforms Ukraine supplies, mainly honey from grasses and seeds, because these varieties are the cheapest. By the way, in 2011 slightly increased the production of buckwheat honey, which is associated with an increase in acreage of buckwheat by 40%. According to official data, along with increased exports and domestic consumption of honey. Sales of honey increased by 3% while that price has risen by 25%. However, the rising price of honey and honey products in natural markets is not so fast, this is due to the fact that prices are formed apiaries home owners who are interested to implement major products in bulk, which is beneficial for exporters and manufacturers of packaged honey. Potentially Ukrainian beekeeping industry can produce twice as much honey, about 150 tons annually. Supermarket: Why is hard for supplier to find a common language with the supermarkets?